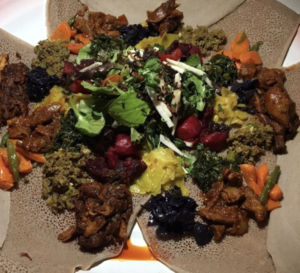 Nunu Ethiopian Restaurant – Must See Monday Toronto Edition! The best way to describe a traditional Ethiopian meal is a feast. After all, tradition calls for eating the food communally, with family and friends sharing a large platter of the staples that make up this cuisine. And so, the meal is a literal feast, as well as a feast for the eyes and palate. Nunu is located at 1178 Queen St. W. in glorious Toronto, Ontario. Directly downtown, Nunu (meaning come, come) serves traditional Ethiopian cuisine with a modern presentation. The atmosphere is welcoming and the service is fantastic. Nunu Ethiopian Restaurant Toronto is a MUST TRY if your taste buds are looking for something out of the ordinary. Nunu also offers courses in traditional coffee roasting! Learn more here! Eating With Your Hands Has Never Been This Good! Joe starts our with a fresh salad, home made cheese and an authentic Ethiopian onion soup. Cheers with a couple beers with the boys and its on to the main course. Spread atop a thin bread base called Injera, is a fantastic array of fragrant purees and vegetables. We each rip a piece of bread and start scooping. On the bread you can find spicy lamb, beef, and chicken. Along side the meats are some potatoes, collard greens and beets. Joe absolutely recommends Nunu Ethiopian Restaurant Toronto. He can’t wait to go back as a matter of fact. It’s so great to get out with good friends and try something a bit out of the ordinary and learn that nothing is better than trying something fun and new! Tempt Those Tastebuds Today And Try Something New! 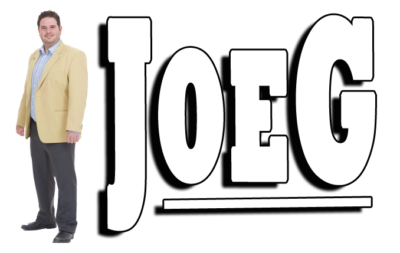 Want your business featured on Joe’s Must See Monday? Click here to contact Joe and see if a Must See Monday is a good fit!